With Thanksgiving officially behind us all that remains is some leftover pies, a renewed commitment to working out and a big holiday shopping list! At some point when you’re a “real adult” the joys of the holiday season extend beyond gift receiving into gift giving. I have found a collection of favorite gifts for hopefully everyone on your list, at a variety of prices, and this week I will be sharing them all with you. First up: gifts for home. If your home is your castle, than the holiday season is the perfect time to gift people with little treats and trinkets that they might not ordinarily splurge on for themselves. When I found a lot of these gifts it was with a new homeowner in mind. They are special items that can’t be picked up at Bed & Beyond or IKEA, and can make even the smallest “starter” apartment feel like home. 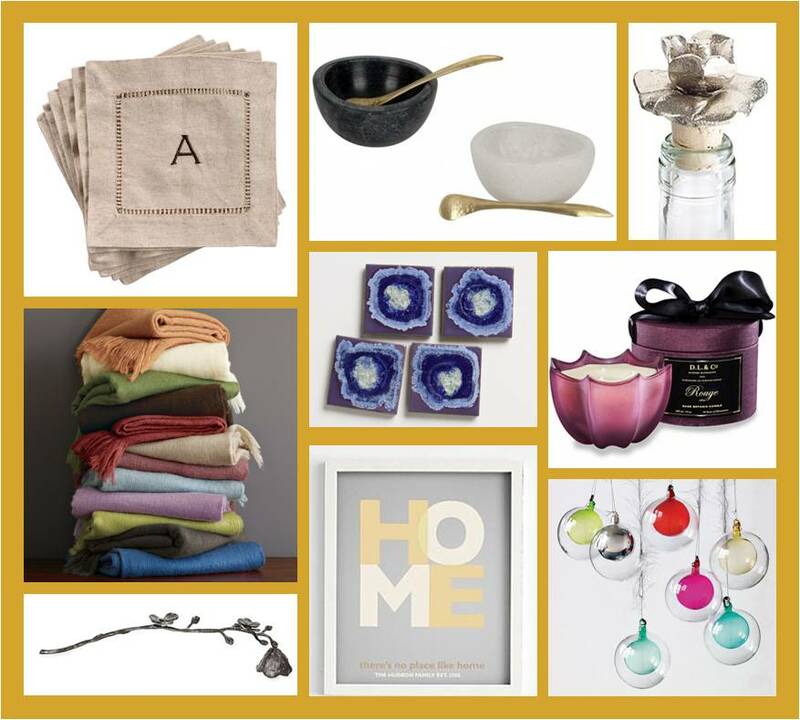 Great gifts for the new homeowner include art to celebrate the home, ornaments for their first tree or a real menorah, a ultra soft throw blanket to upgrade from their college fleece, luxe kitchen and entertaining trinkets for when the parties graduate from kegger to cocktails. What is your favorite gift to give for the home? Tell me in the comments! This entry was posted in Decor, gifts, Her Home, Holidays and tagged 2011 gift guide, christmas gift ideas, gifts for a college grad, gifts for newlyweds, gifts for the home, gifts for the hostess, holiday gift guide, holiday gift ideas, holiday gifts. Bookmark the permalink.